For those of you who have travelled to hot, humid destinations, I'm sure you've had moments when your usually-manageable skin suddenly goes beserk, producing copious amounts of sweat and oil, and leaving behind unsightly blackheads and occasionally scars. In which case, spare a thought for me in Hong Kong (in Summer) and Amanda in Singapore (all year around)! 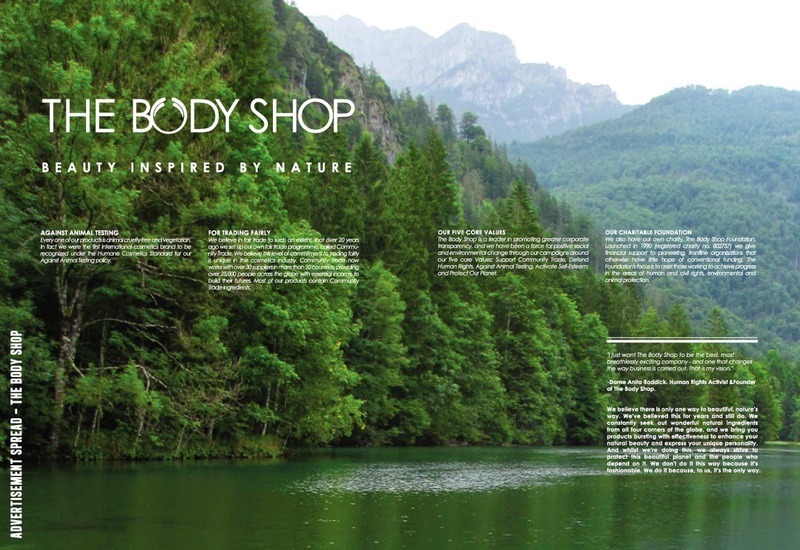 So today's article gives you the low-down on a few handy items from the Body Shop that will keep your skin clean and clear in humid weather without you needing to drag around multiple, supersized products on your travels. 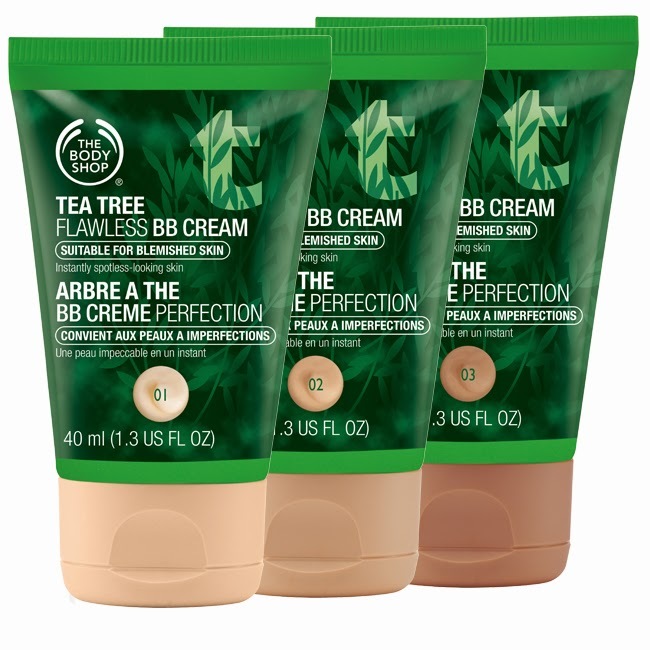 Here are three items from their Tea Tree range that are generally best suited for oily / acne prone skin - or for those of you who, like us, have to live in sweltering, hot Asian destinations! 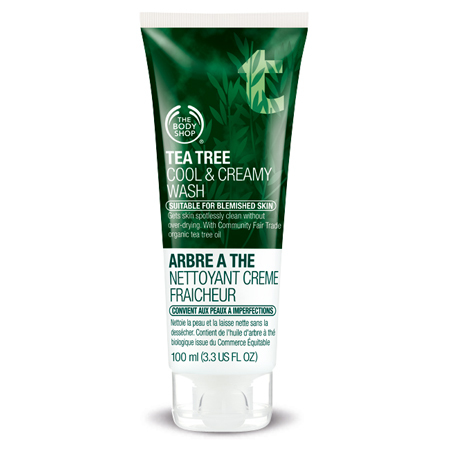 While the standard Tea Tree Clearing Facial Wash seems to get the most public attention, it’s actually the Cool & Creamy Wash (US$20) that has the highest rated reviews – and it comes in a very travel-friendly sized bottle of 100 mL. 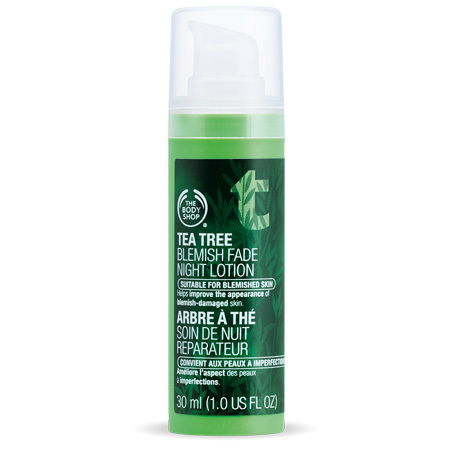 Keep in mind that the Tea Tree line is generally for acne prone, oily skin, or those who sweat profusely - and this product is no exception. The wash feels cool and gives your skin a slight tingle of freshness, but does also come with the typically strong tea tree scent. If you’re not a fan of the scent or the coolness, just gently massage a small amount into your skin and rinse off shortly afterwards. Having used Vitamin E oil and cream before (and finding that it didn’t really minimise any acne scars), I was skeptical when I came across this Blemish Fade Night Lotion (US$25). Fortunately the marketing hype is actually not far off the mark (pun intended) - it does help reduce skin blemishes like minor scarring, but is less effective in combating deep acne pits in your face or serious hyperpigmentation. However, be warned – while this lotion is very light, it is also quite drying, and leaves your skin feeling rather tight. This makes it unsuitable for use on the airplane (which already has a dry atmosphere) or hotels with strong airconditioning, but perfect for places with high humidity. If you’re worried about the drying effect, be sure to only use a small dab and to moisturise thoroughly after about 10 minutes. Finally, keep in mind that the tea tree scent is quite strong with this product and will linger for about 20 minutes after you have used it. I never really understood the appeal of BB creams. To me, they were like foundation with a fancy name. This particular Flawless BB cream (US$20) comes in various shades depending on skin colour (two shades in Hong Kong but three shades in other countries) – and we'd recommend going for the medium shade (02) because it tends to give your skin a healthier, light tanned glow. Despite claims that it covers imperfections, the coverage is actually rather light, so for those with more obvious acne or dark undereye circles, you may want to add concealer on top. Note that this is NOT a sponsored post - we genuinely think that for their reasonable pricing points, these items do the trick quite nicely in humid weather. We'd love to hear from you guys though - have any of these products worked for you? Let us know your thoughts!